Composite decking is easy to install and has a very long life. 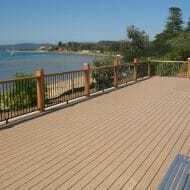 It is very low maintenance, requiring little of the maintenance time and costs incurred with timber decks. 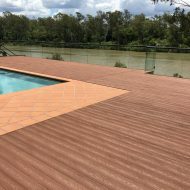 Expect durability and longevity; composite decks are proven to withstand the harsh Australian environment. Uptons does not carry stock of Modwood and Tufright all year round but these items can be ordered in. Please call us for more information.